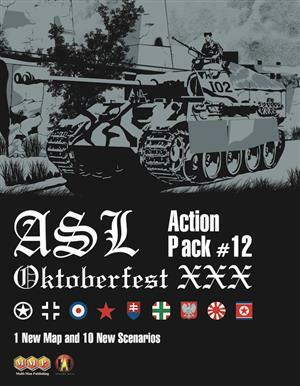 MMP is proud to announce our collaboration with three well-known ASL grognards to produce a new Action Pack. 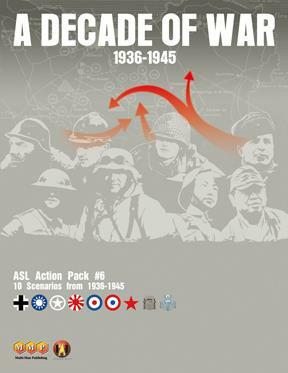 ASL Action Pack 6: Decade of War—will have three new mapboards and ten new scenarios using them. 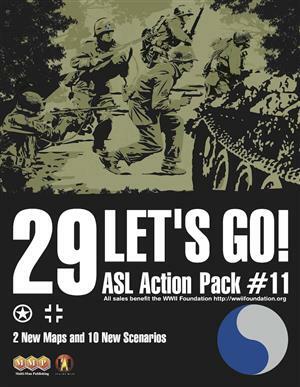 When talking ASL, Gary Fortenberry, Charlie Kibler, and Bob McNamara need no introduction; all three were major figures in ASL at The Avalon Hill Game Company before MMP took over ASL development. The new mapboards—based on a concept that Gary has been toying with for a number of years—resemble two half-boards placed side-by-side and allow new mapboard configurations not possible before. (Imagine a pair of current maps laid side by side, long edges abutting. One of the new maps would lay across the ends of the two maps, adjacent to both. It allows for some very interesting new combinations, and the maps themselves are pretty cool in their own right.) Each map is backprinted with an almost-exact copy designed to fit geomorphically with existing maps no matter which orientation is used. The scenarios consist of a battles spanning the ten year period of 1936-1945 and feature the combined research and design skills of Fort, Charlie, and Mac. They involve the Spanish Civil War, the Sino-Japanese War, France 1940, Malaya, The Philippines, the East Front, and the Bulge. 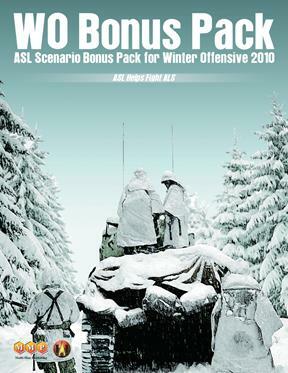 Also included are optional Australian Balancing System (ABS) handicap bids for each scenario, providing 8 levels of balance for each battle. 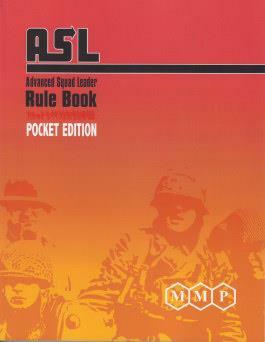 Designed for the aficionado, The Decade of War assumes the buyer owns the entire core Advanced Squad Leader game system!